Please join WISER for this public lecture by Ricardo Soares de Oliveira. Ricardo is Associate Professor in Comparative Politics (African Politics) at the Department of Politics and International Relations, University of Oxford, Official Fellow of St Peter's College, and a Fellow with the Global Public Policy Institute, Berlin. He is the author of Oil and Politics in the Gulf of Guinea (2007), co-editor of China Returns to Africa: A Rising Power and a Continent Embrace (with Chris Alden and Daniel Large, 2008) and The New Protectorates: International Tutelage and the Making of Liberal States (with James Mayall, 2011). 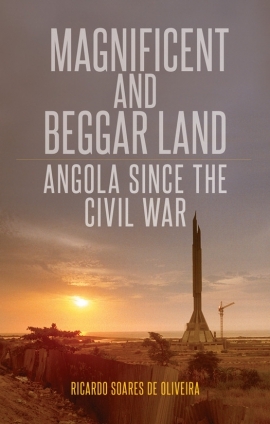 His latest book, Magnificent and Beggar Land: Angola Since the Civil War (published by Jacana in 2015) will be on sale at this event.